A storefront sign gives your store a good first impression and ensures that people can see your business day or night. There are various options in terms of materials, size, and design. Because your signage is one of the first things a potential customer sees, you must choose one that reflects your brand, products, and services. In addition to the main sign for your storefront, you may want to display sales, special events, or other advertisements in your windows or on the sidewalk. Vistaprint lets you select the perfect style of sign or banner for your needs which you can customize yourself or with help from one of their graphics designers. Click below to check out sign and banner designs. Your storefront sign is one of the first things your potential customers see when they visit your establishment, so it is necessary to choose one that reflects your brand and the kind of services you offer. Business signages can be crafted from different materials like fabric, wood, metal, and glass, and each has their own pros and cons. Fabric signs can be colorful and unique, but they require more upkeep and replacement compared to more durable materials. So while they are often viewed as a budget choice, they can actually cost more in the long run. Vinyl, plastic, or nylon banners can range from $3 to $9 per square foot. Expect to pay more for heavy-duty fade-resistant fabric and for hardware and installation. Fabric signs are great to order off the internet as a 4’ x 6’ sign can be easily shipped. You typically provide your logo, and your finished product arrives in a couple of days. Fabric signs are an extremely popular option because of their versatility, so any type of business can use them. They can be as simple as a banner for food kiosks or built-in into framed lightboxes for larger retail stores. The lightbox makes it easy for customers to read your store name at night. Plywood signs are affordable and simple, yet elegant. A 4’ x 4’ painted plywood sign can start as low as $50, not including installation fees. The size of the font and type of paint or finish you choose, along with how big your sign is, are all things that will impact cost. Other types of woods, like oak or cherry, but expect to pay a few hundred dollars for these premium materials. These signs are subject to weather damage, and may need to be replaced frequently. 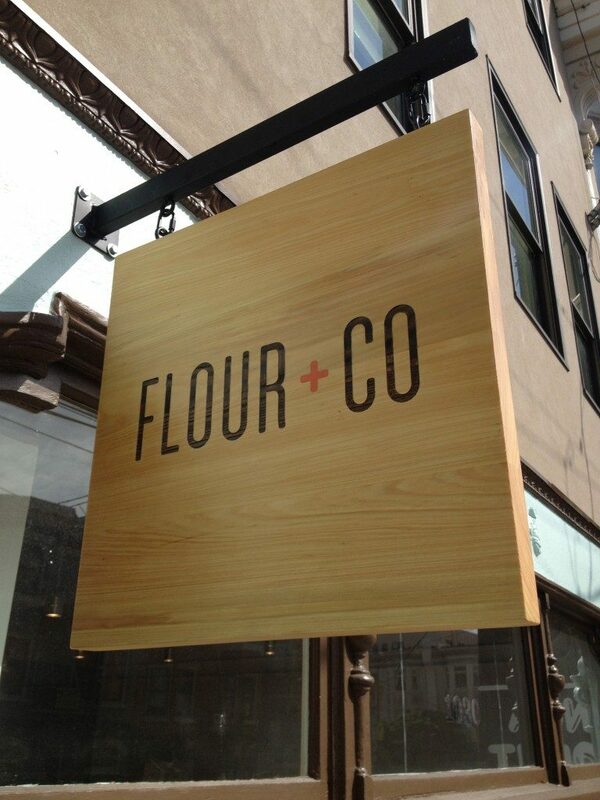 Painted plywood signs are ideal for restaurants who want to give their storefront an old-fashioned feel. It can also work for upscale retailers looking to give their business a bespoke look or boutiques going for a rustic theme. If you are looking for a low-cost, yet attractive and distinctive option, use your store’s windows as the canvas for your sign. Depending on your design and its complexity, painted glass signs start around $150 if you just want some letters for a name on your door. However, you can get more detailed designs and use high-end, all-weather paints and pay in the thousands of dollars. A possible drawback could be lack of visibility from the street, as the sun’s glare diminishes the visibility of your design. We often see painted glass on restaurants or cafès, so you might want to test this type of store sign if you own a similar business. 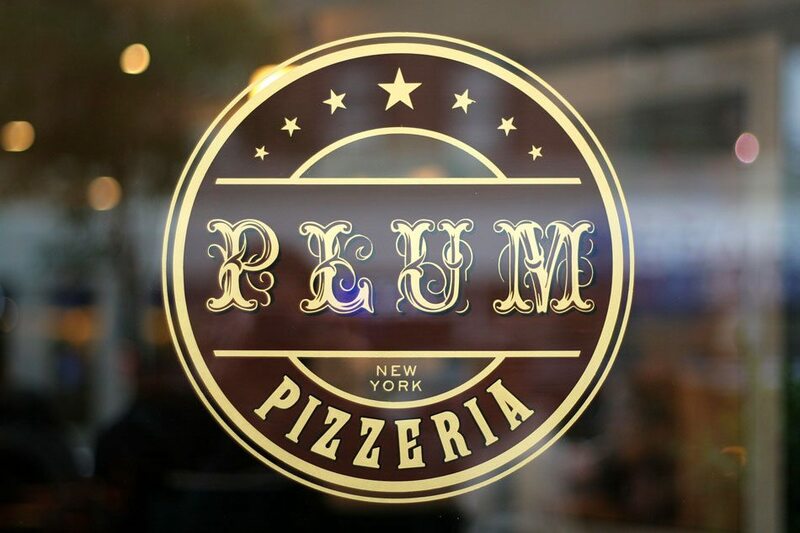 Also called laser cut signs, these durable and weather-resistant signs can offer a clean and modern feel or a historic flavor, depending on the design. A two-sided metal sign that is 18” x 24” can start about $75, not including installation. Larger sizes or the addition of color and texture add to the price, but you will typically see costs between $200 to $1500. 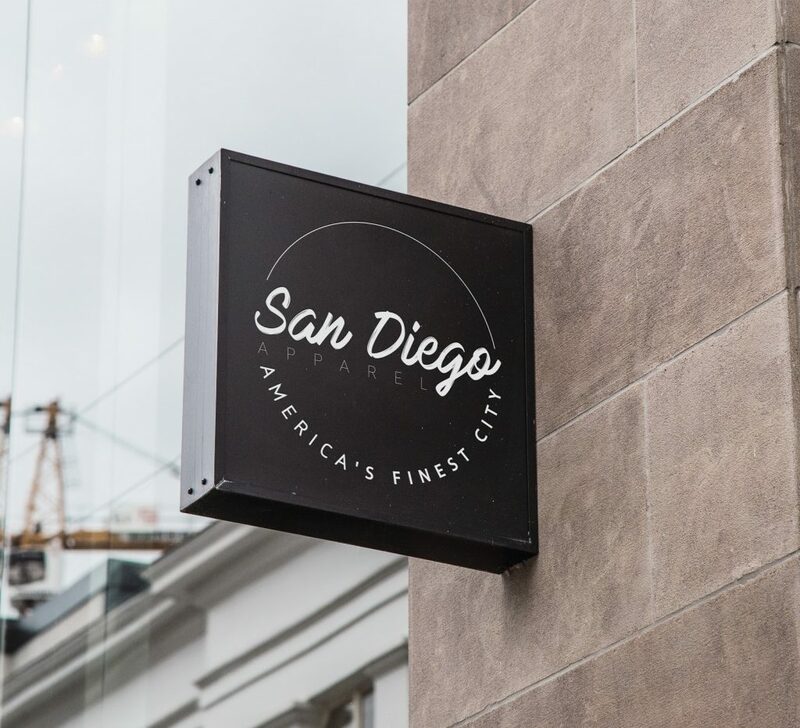 Depending on the design, punched metal sign boards can be used by businesses that want a sleek, modern sign or a retro storefront display. Example of a punched metal, backlit storefront sign for a tech business. These three-dimensional storefront signs, and any shadows they throw off, add texture and interest. Depending on the size of the letters and the type of metal used, these signs generally start around $200, not including installation or custom design fees. I recommend getting them lighted to attract more attention to your business, especially if you operate at night. You will pay $300 to $500 more, but your customer visibility will increase. Eye-catching and professional, these signs work well in a variety of locations, but they are more expensive. An average 4’ X 8’ metal storefront can cost around $300 and up, not including installation. Remember that for any material, the design of your artwork will directly impact the price of the sign; a more complex design will cost you more. For example, if you use a metal sign board, with individually cut out lettering, you’re going to pay significantly more than if you just painted the same style lettering directly onto the signboard because there is more custom labor involved. These signs weather well, but you will need to budget for touch-up work every couple of years. These offer the option of providing shade for your business, shelter for your customers in bad weather, and attractive signage. 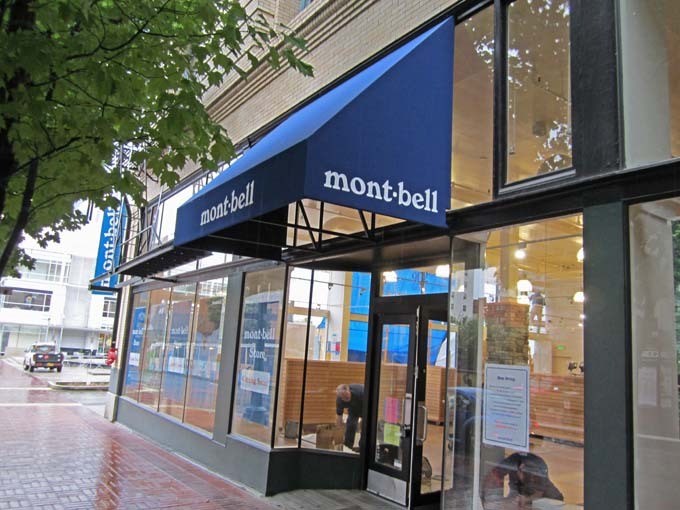 Costs for awning signs depend on the size and fabric of the awning, as well as the hardware needed to hang it. However, these signs start at around $500 and go up from there. According to the American Society of Heating and Air Conditioner Engineers, merchants with awnings may see up to a 25 percent savings in their energy bills. They are also built to last in weather, making them a great long-term choice. Because of their design, you can also put your business name on the front and sides of the awning, increasing visibility. The trick here is to remember that the cost of this sign is in the installation charge, which will vary but could reach a few thousand dollars. 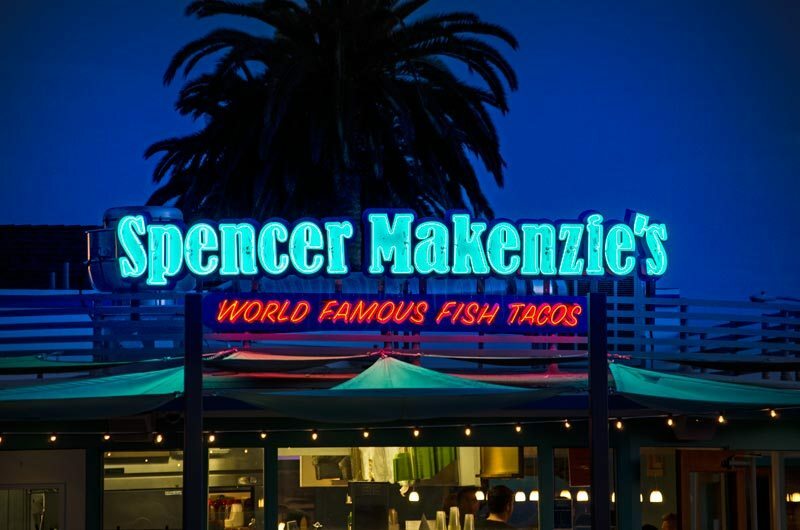 Depending on the design, awning signs can be used by restaurants and cafes to give their store a nostalgic feel or retailers looking to have a distinctive storefront. Stone and other rock materials serve as excellent choices for signs. They handle weather conditions well over long periods of time. These signs are heavy, permanent, and provide a sleek look for businesses. Stone signs start around $500 and go up to prices reaching $10,000, depending on size and material. Ask for alternatives to stone to save a little extra cash. Sometimes you’ll see upwards of $350 by using composite stone-like materials. A drawback to rock signs is that they are permanent, and can be costly to relocate if you decide to move your shop. Since rock signs occupy a lot of space, they are ideal for big businesses with real estate to spare, like hotels or large retailers. 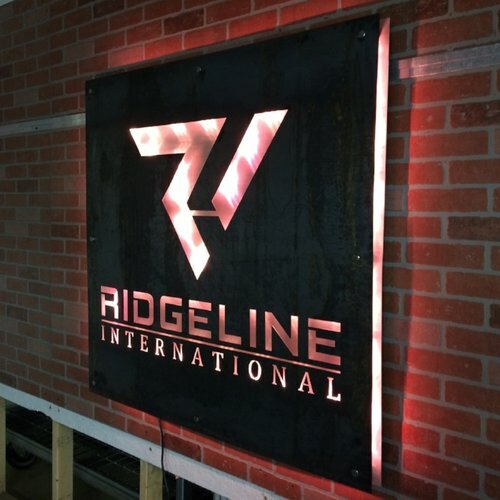 Also called neon or LED signs, the visual appeal of this type of sign is second to none. Custom tube sign start in the $1,000 range and increase based on size and design complexity, ending in the $10,000 range. Smaller, “off the shelf,” tube light signs can be found easily. Upkeep can be expensive so keep this in mind before purchasing. These lights are literally made of glass and can be easily damaged by bad weather and will be expensive to repair. Businesses that operate well into the night, such as bars or clubs, will benefit from glass tube light signs. More and more stores, particularly in high foot traffic areas, are using digital signs instead of or in addition to traditional storefront signs. Restaurants can use a digital sign to promote daily specials, or retail stores can display current sales at the touch of a button. Mira Screen Signage provides free hardware and intuitive software that makes it easy to turn any TV into a digital sign for as little as $24/month per screen. Click here to request a demo. Fabric Sign Because of its versatility, fabric signs can be used by any type of business. A small business with a low budget or in need of mobility can opt for fabric signage. Plywood Sign Plywood signs can be used by pubs with an old-fashioned feel or upscale retailers for a vintage look. Painted Glass These storefront signs work best for cafés, restaurant, and tailoring shops who want a retro look on their storefront. Punched Metal Sign Depending on the design, these signs can give your storefront or retro feel or a sleek, modern appeal. Metal Logo and Lettering Restaurants and retailers who expect high foot traffic later in the day may benefit from this type of business sign. Metal Sign Board Shop owners looking to differentiate their storefront from other retailers may opt for a metal sign board. Awning Signs These signs may fit the look for pizzerias, coffee shops, or restaurants with al fresco dining. 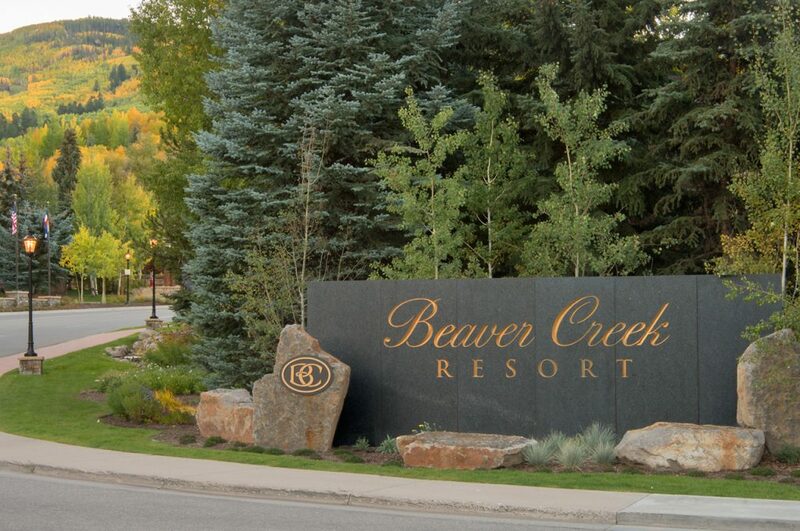 Rock Signs Large establishments who deal with an outdoorsy customer base like a country club, resort or hotel who want a more permanent sign may look into rock signs. Below is a table summarizing the average cost of different types of storefront signs. Following the table, we will look at installation costs and where you can buy these different types of signs. As you can see, there is a wide price range for each type of sign. This is because sign prices will vary based on location, design, size, material and delivery timeframe, and most will come with the added cost of installation. The installation cost for a storefront sign will largely depend on the man hours and type of support structure needed, but on average, expect to shell out $200 to $750. Awning signs are cheap to create, but they come with complex support systems that can cost you upwards of $1000 dollars to put up. Signs with complex support systems require them to be installed by trained professionals, which add to the overall cost of business signage. Rock and stone signs are made with heavy materials and need even more man-hours to install. Plywood signs, custom metal lettering, and metal signs need to be attached to your storefront, presenting their own unique challenges. Remember the harder any sign is to display, the more your installation costs will increase. Also, make sure to check your lease agreement to see if you can make structural changes to your storefront without penalties. There are two primary places to get custom signs made, and it’s important to understand what to expect from each. Local and regional sign shops offer a lot of individual one on one time during the design and crafting process. Materials used will vary from shop to shop, and you will pay more for the expert advice. Expect local shops to take 2 weeks minimum for a complete sign build, so consider this if you are short on time. Since the quality and expertise of sign shops can vary widely depending on where you are located, you are going to have to do some research on your own. The best way to do that is to drive around and find some stores that have great looking signs, and then ask the owners where they got their sign. You can also check online reviews of specific shops via sites like Yelp.com. Will the sign company apply for any needed construction permits? Does the company offer design service? What are the cost differences among materials? What sizes is the sign available in? How does more color add to my cost? Does the company offer installation? Is there an extra installation fee? What maintenance and cleaning is required for the sign? Does the company offer maintenance and at what cost? Inquire about company’s insurance for installation and if the insurance covers any mishap should the sign fall or hurt someone in any way? Does the sign company offer a guarantee or a warranty for the life of the sign? What about scheduling? How long will it take to get your sign ready and installed? Websites like Vistaprint and Signomatic offer low cost sign printing. On these websites, you must submit your completed designs in PDF format or the shop’s preferred image formatting. provided on their site. It usually takes 2 to 5 days before you have your sign in hand, so they are ideal if you need a short turnaround. 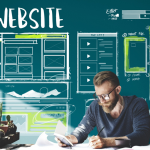 You will pay less for design when using online shops, but there are limitations. For example, online shops may specialize in certain materials like fabric only, so your choices may be limited. The online option is also risky from a rework standpoint, especially if you have no design experience. Since you won’t have a lot of face time with online sign shops, be clear and specific with what you want on your e-mail or phone discussions. A good, solid design that appeals to your ideal customer and that is consistent with your brand image is important in creating your business sign. 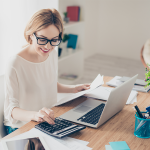 You don’t have to be an expert graphic designer to create one, but carefully considering your options can help save you time and money. You don’t need to come up with an entirely new design for your business sign. If you already have a company logo or brand graphics, you can simply walk into a sign shop ready to go. If your logo needs a bit of updating, Tailor Brands makes it easy to create a beautiful logo for just a few dollars. To avoid delivering a generic-looking logo, Tailor Brands walks you through a series of questions so you’ll end up with a design that matches your aesthetic. Click here to get started. If you’re starting from scratch, you may opt to work with a professional graphic designer. 99designs is a freelance site that lets you run logo design competitions among a pool of high-quality designers. You end up with around 30 designs to choose from starting at just $299. Your local sign shop will likely have an in-house graphic designer that can help with your artwork. Be sure to ask for samples of designs made in-house and make sure they meet your standards. Keep in mind that you will be charged with additional fees like initial setup and consulting, which can be hundreds of dollars. 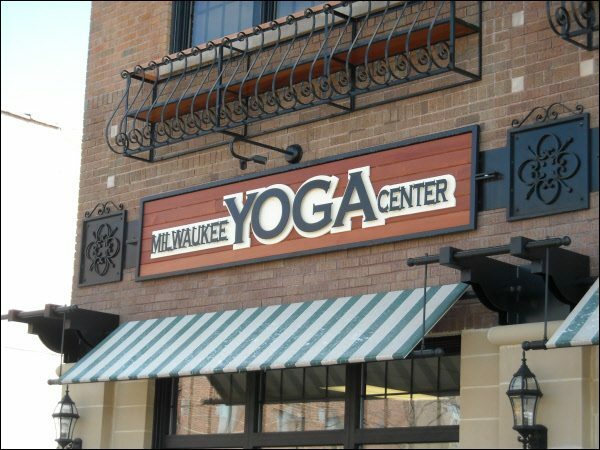 The colors, font, and style of your storefront sign should be consistent with your branding. Take the infamous Golden Arches of McDonald’s as an example. The shape, color, and style of the McDonald’s sign is the same anywhere in the world. This will improve brand recall, so customers will have an easier time finding your location next time. This also helps if you have one or more locations. In addition to brand consistent imagery, make sure your sign has your business name in a large, easy-to-read font. You can also add a company or marketing tagline to tell the customers what your company is about at a glance. For example, McDonald’s tagline “Over 99 Billion Served” suggests a lot of people trust them, while Papa John’s Pizza’s “Better Ingredients. Better Pizza” differentiates them from typical fast food. 1. Cost: the cost of your business sign will largely depend on the size of your storefront sign since more materials and time will be needed to create it. 2. Location: where you will put your sign will also determine it’s size and heft. For example, a large metal sign hanging on your storefront wall may obstruct pathways around your establishment and can be a hazard to shoppers. 3. Zoning Laws: your locale will have its own sets of zoning laws, which can limit the sign size for your small business. We will discuss zoning laws and how to determine them for your area below. Visibility is key when creating your business signage so determine the logistics, and build the biggest sign you can to make sure it’s visible to customers. Understanding zoning restrictions in advance will help you save time and money up front and also help you avoid potential fines and expensive re-work. To find out about your zoning laws or where your commission is located, check with your local Chamber of Commerce or do a couple of Google searches. You can Google: Your Zip Code + Signage Zoning Regulations or You City + Signage Zoning Regulations. Here’s an example of local city sign code. Didn’t budget enough money Over budget. You don't have to spend it all. Didn’t think through brand/image Consult with artists or professional designers. Design is too complicated Keep lettering / imagery simple - your logo plus a tagline is really all you need. Making mistakes is part of growing your business, but avoiding these common mistakes when picking business signs will reduce the learning curve and save you cash along the way. A storefront sign is a critical part of any business with a physical location. It helps guide your customers to your establishment and sets the tone for business from the outside. It is one of the first things customers see when they visit your store, so make sure you take time to find the right type of sign, research shops, and set the appropriate budget. Remember to use these ideas to help create a business sign that wows customers into your location every time! This article has been a real delight to read. Very insightful. I will be looking for more posts in the future. Signage is a cost effective way to promote brand name, products and services. It is an excellent article which helps lot of potential customers. Thanks for sharing comprehensive post, your post having informative & valuable content, it will be helpful, appreciated your efforts. Great write up on the different types of business signs available Along with the approximate cost for each type. I think any business looking for a custom business sign will definitely benefit from reading this. From my experience will you get a better deal ordering your business sign online these days versus going to a local sign shop I think the reason for this is the regional printers can offer better discounts due to larger bulk manufacturing and they also cut out the middleman. How about sign maintenance/service? There are sign shops which offer warranty or maintenance contract. I wonder where to find information on how much do companies spend for sign service in average per year??? Honestly, I think size will probably be the biggest question here. As long as it is big enough, people should be able to find it. Obviously, the 2 sided would provide the most coverage. But, many subdivisions and hotels just have a single sign facing frontwards. So, I’d imagine any of the above would work. Just depends on what you are looking for!